Handcrafted designer necklaces made from glass beads, semi-precious stones, crystals and very unique pendants. 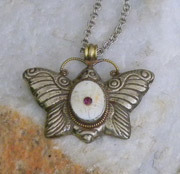 Handmade artisan necklaces featuring unusual or vintage types of chain. 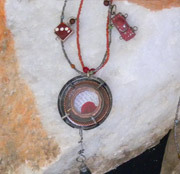 Beads and special pendants are incorporated into one-of-a-kind statement jewelry. 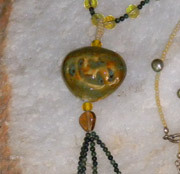 Unique beads and chains are also used with these lovely, handcrafted Tibetan pendants. Wearing art! 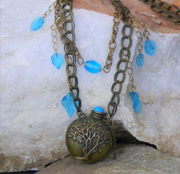 Unusual beads, chain and findings make up these highly unique necklaces which capture the flavor of Steampunk and Industrial styles. 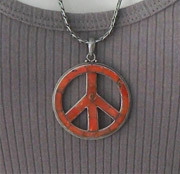 Specially selected pendants each paired with a chain - stylishly inexpensive jewelry for all ages. Funky and fun necklaces collected over the years ... while not made by me, still handmade or reflecting my brand. 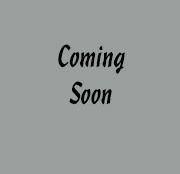 Bargain jewelry for women, little girls - and men, too! 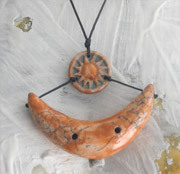 Stay tuned for more unique necklaces in this area.